It was definitely not an easy ride for this particular Marvel hero when it came to getting his own movie, but it seems like things are finally on the way. The very first picture taken on the set of the movie was released for the public. 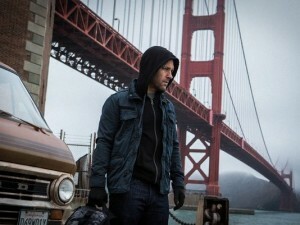 Paul Rudd, who will be playing Scott Lang, the movie’s main character, is show looking kinda rugged, something to be honest I never thought when picturing Paul Rudd (but that’s most definitely just me, I’m told). I still like it, though. The movie was in production hell for a long time, something that made a lot of fans question whether it was ever going to happen or not, but this photo pretty much seals the deal. I mean, we have photographic evidence that it’s happening. With a little under a year to wait for the movie’s release (with a set date for the 17th of July), more information will become available, but this has been quite a promising start. Marvel has yet to disappoint when it comes to movies, with a quite a winning streak. Given the stellar cast they managed to gather around: Michael Douglas and Evangeline Lilly, to name a few, it’s bound to be another success. I’ll still be keeping my fingers crossed, though. Should we stop getting HYPED?